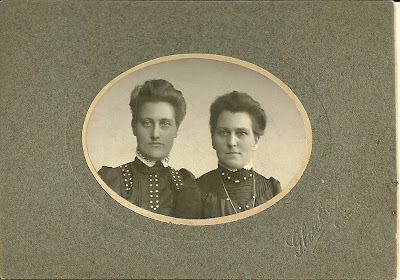 Photograph of two women identified on the reverse as the Andrews sisters of Rockland, Maine. I can't quite make out the name of the studio, which has an imprint in lower right corner, but someone who has studied photographs of people from the Rockland area may decipher it right away. In the 1870 Census for Rockland, Maine, I found a family headed by Oris Andrews which contained several daughters. His wife's name was Lucy, and she was 15 years younger than he, but old enough to be the mother of the children, although it's always possible that she was their stepmother. Another Rockland family with multiple daughters in the 1870 Census was that of Edward and Ellen Andrews. There may have been other Andrews families in Rockland. 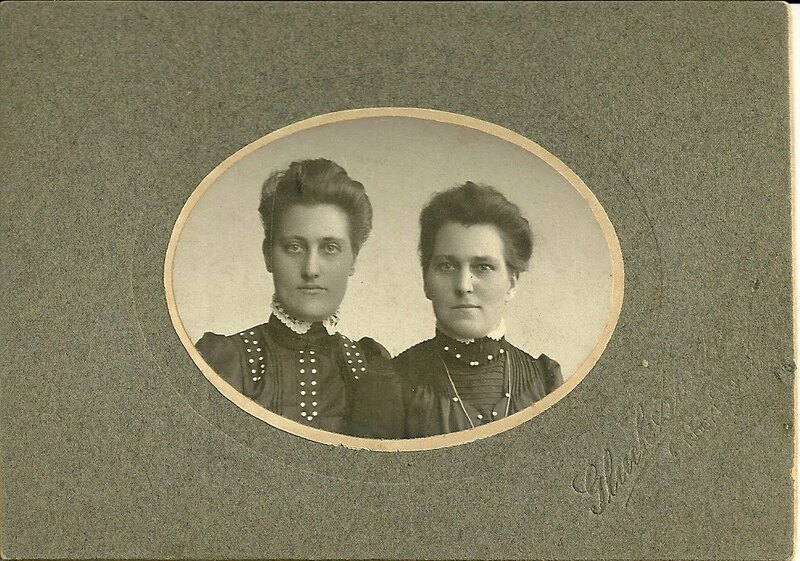 Perhaps a reader will recognize one or both of these women from family albums or from familiarity with Rockland, Maine, history. Hopefully this heirloom will have meaning for you. Thanks for stopping by!